When I was a young boy, my older brother used to tell me stories of secret arcades hidden in the oddest places around our house that him and his friends would visit to play the latest and greatest games. I didn’t exactly believe him, but I didn’t not believe him either, and I’d search for these phantom arcades, because really, why take the chance on missing out on something that sounds so amazing? As I got older, my concept of the nature of reality became a bit more concrete (sort of), but I will never forget the feelings that I had as a youth, when reality was fluid and just about anything seemed, if not probable, at least possible. 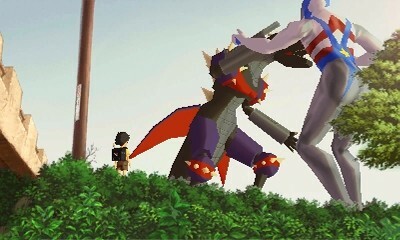 I wish my town had monster battles every Friday! Attack of the Friday Monsters! 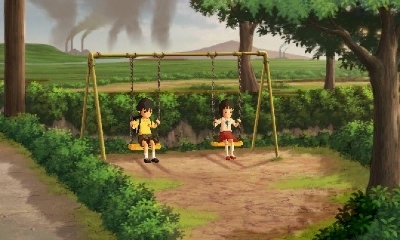 A Tokyo Tale is the third and final game release in the West from Guild02, Level 5’s second compilation of games created by various developers across Japan, and it deals with the unrestricted nature of reality to a child in a very lighthearted and nostalgic way. 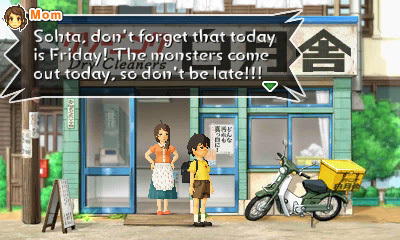 Developed by Millennium Kitchen, creator of the popular Boku no Natsuyasumi ("My Summer Vacation") series in Japan, Attack of the Friday Monsters! 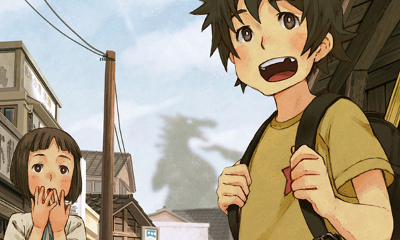 A Tokyo Tale puts you in the role of a young boy named Sohta who lives in a town where giant monsters and superheroes battle it out every Friday in a dramatic way. There may or may not be a logical, adult explanation for why this is so, but to Sohta and his friends, it’s a phenomena that exists on the edge of reality, and well worth looking into. I don’t want to spoil too much of the story, but suffice to say there are some weird happenings surrounding the friday monster / hero battles that go on in this town, and Sohta, as an energetic and inquisitive young lad, is intrigued enough to chase down every thread that he can find in order to solve the mystery of the battles. The player, as Sohta, experiences events that transpire over the course of a single Friday, forever changing the town and the inhabitants within. Attack of the Friday Monsters! A Tokyo Tale is dubbed as a “life simulator”, but don’t expect anything like The Sims or Animal Crossing here. For the most part, the “gameplay” consists of running around town and finding the right person to talk to in order to move one of the many episodes forward. The town itself is not overly large, so you will be visiting a lot of the same places and talking to a lot of the same people throughout the course of the game, which can make the scope of things feel a bit limited. If you need more tangible gameplay, there is a (generally, but not always) optional mini-game that lets you collect “glims” that you can convert to cards which can then be used to battle against your friends, but even this is basically just rock-paper-scissors with a small twist. That’s mom, always looking out for you. You navigate Sohta using traditional analog 3D controls, while the environments themselves are static, 2D environments (giving movement an almost old school Resident Evil-ish feel, but without the tank controls.) Things can get a little confusing if you rely on the bottom screen map to navigate too much, since the camera shifts on every new screen, so the directions you press to move on the top screen won’t always match the directions on the bottom screen map. The game includes 26 “episodes”, although labeling these as episodes is not totally accurate, since they are more akin to tasks (some mandatory, some optional) for Sohta to complete, and you will often have several “episodes” in progress at the same time. I found the episode mechanic to be a bit of a confusing way to go through the game, as you will often have an episode open in which you cannot do anything more on at the moment, and by the time you can make further progress, you can easily forget what the episode was even about (outside of the often vague titles of the episodes, there is no other information in the menu’s episode list to remind you.) This really only holds true for the optional episodes, as the mandatory ones generally point you where to go next on the bottom screen map, but it’s still a bit frustrating. I completed the game with three optional episodes still “in progress”, and short of running around aimlessly talking to everyone or checking a FAQ, I’m not sure how I would be supposed to know what to do in order to complete these episodes. Just another average day in an average town in Japan. The 2D backgrounds are fairly well done, and the style evokes a nice sense of youthful nostalgia, although as the town is relatively small so you will see most of what there is to see early on. The 3D character models aren’t bad either, and mix with the backgrounds well enough. The soundtrack is excellent and almost makes the game feel like a light-hearted anime movie, although the music will often (wisely) pull away and let the sounds of summer speak for themselves. One particularly neat presentation element is how Sohta will often break in to narrate certain story elements, giving you a bit more insight into how the various characters feel about what is happening; it’s a nice little touch. If I am going to be 100% honest with you, there is not much of a reason to play Attack of the Friday Monsters! A Tokyo Tale outside of the presentation and story elements. The gameplay is borderline absent, and what little does exist is not exactly compelling stuff; you’re either finding people to talk to, or playing a rock-paper-scissors spin-off mini-game with your friends. 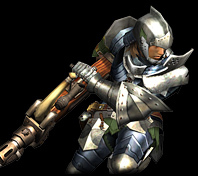 However, the environment, characters, and plot do succeed pretty well in what they set out to do, creating a nice little punch of nostalgia that will have you longing for youthful innocence (even if you can’t directly relate to the Japanese monsters / heroes themes.) It’s not a very deep experience, and at $7.99 (NA) for about 3 hours of gameplay the price may feel a bit steep, but I can’t look down too hard on a game that brings such positive vibes along with it. Very tempted to get this now. I'm down for the occasional gameplay-lite game if the experience is fresh. Like 'To the Moon' or even 'Dear Esther'. Haven't beaten the game yet, but: Is the card battle game really optional in the true sense of the word? I'm fairly sure there are events that don't unfold unless you are someone's "boss", because they won't give their "servant" certain information. Personally loving the game, because of its nostalgia, the artwork and the music. I even enjoy the battles, even though they are simplistic. Now that I think back on it, I believe you're right. One card battle you have to win for sure near the end? And I think there may have been one or two mandatory ones earlier. Will edit review to reflect this. I think there was one where Ramen refused to say something because of the card game hierarchy kind of early on as well. Or maybe it was in the middle. Game seems quite short. It is, I finished it in slightly over 3 hours, and that includes messing around with the optional card battles for probably a good 15-20 minutes. Could theoretically be finished in under 3. I get the sense that this game spoke to me in a deeper way than it did to most people. Aside from being about the anything-can-be-real mentality of children and the interpersonal relationships of youngsters that most people have pointed out, I felt that the game subtly touched on other, less lighthearted themes as well. While the story doesn't delve into these topics, I can see the beginnings of conflicts that every person must face during their childhood, such as the acceptance of the fact that your parents aren't perfect, bad things can and will happen in the world, and that the exciting heroes and monsters you see on tv aren't real. You see your in-game parents arguing, people are stressed out about their jobs, and there are other conflicts between characters, such as the police officer and his daughter. You want to help, but as a child, all you can do is watch as these events play out, the path they take being out of your control. The conflicts occuring between other characters are resolved wonderfully, but the ones occuring within Sohta are taking place in the background. They do not conclude within the course of the game. These are issues he will have to face as he grows up and his view of the world becomes grounded more in reality than fantay and he eventually loses the innocence of childhood. These elements of the story that are not placed within the foreground are fantastically executed, and remind me of when I had to face these inescapable truths. But maybe I'm reading too much into this. I have a feeling that some people may think I am, but that's fine. Everyone sees things differently. This is just what I personally got out of the story. This game looks right up my alley. This game looks interesting. I may give it a go. I am really liking this game. Think I've spent an hour or so with it so far. As Zero said, the episode structure is a bit off-putting at the start, not being able to tackle them sequentially, but as I've gone on, I realized that specific loose structure is likely very deliberate. Instead of tackling these things individually, I'm sort of floating through the town going wherever my attention takes me and following different threads as they open up. It's very organic in a cool way. I finished this game the other day. I wrote some impressions for the post-play survey on Club Nintendo, so I'll share them here too. To begin with, it's a beautiful game. I mean this not just from a graphical perspective, but across the board. The fixed camera angles and gorgeous illustrated backgrounds create an atmosphere that seems personal and fantastical. The music is nothing short of great. Gentle, nostalgic melodies, as well as stirring songs of whimsy and danger, complete this soundtrack. The vocal theme that plays at the beginning of the game is very charming too. There are various other details that I like too. The enthusiastic narrator adds just the right amount of drama and charm to the story. The monster card battles are simple, but they're elaborately presented and beneficial to my appreciation of the story. This is my favorite "Guild" game right next to Crimson Shroud. By the credits, I felt completely satisfied and, in a way, at peace. It's not a challenging game. In fact, it's pretty straightforward. That said, I feel that the absence of difficulty doesn't weigh against the experience. Attack of the Friday Monsters is a story that benefits from interactivity. I feel that it succeeds as a video game for that reason. @Octorockin I agree. Well said.